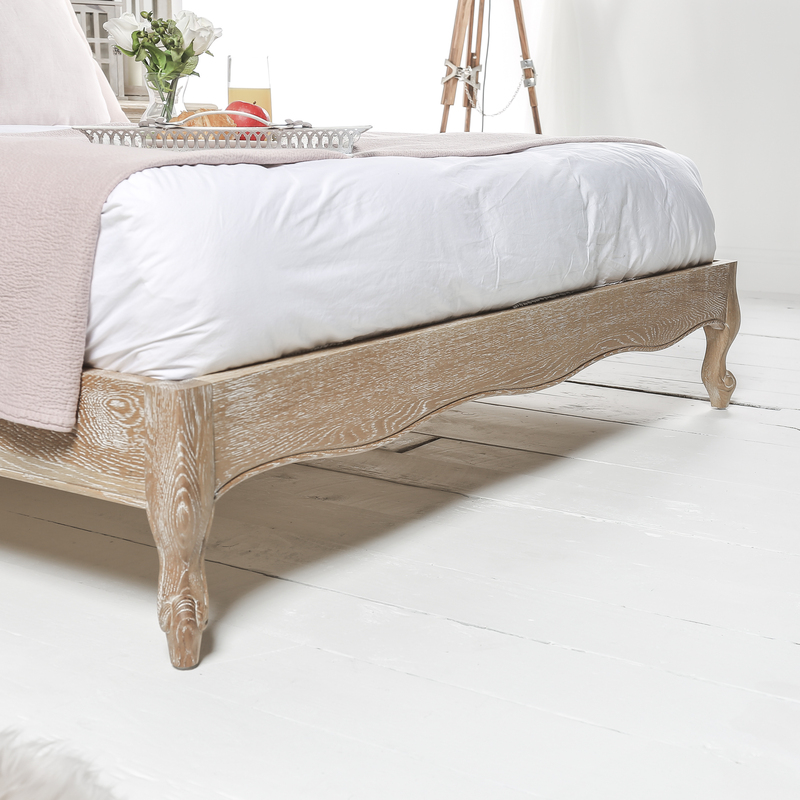 The hallmarks of French neoclassical design understated elegance and fine, exposed white wash Oak wood are showcased in our sumptuous upholstered French style bed. 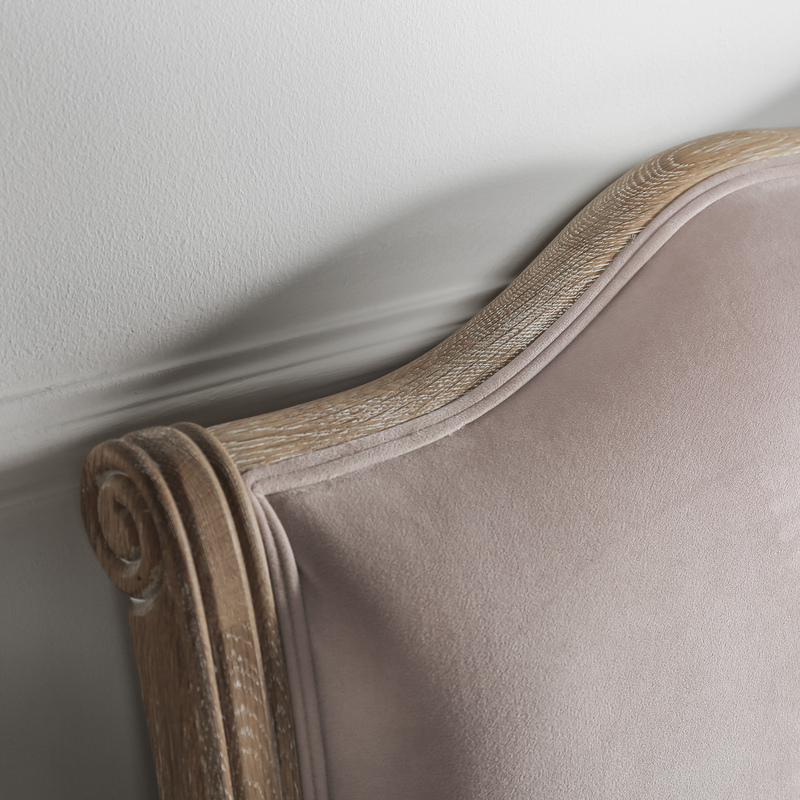 Handcrafted in solid oak with a limed oak finish, it features classical hand-carved details and is richly upholstered in a Oatmeal Belgian linen fabric. Features a newly improved solid slat base. 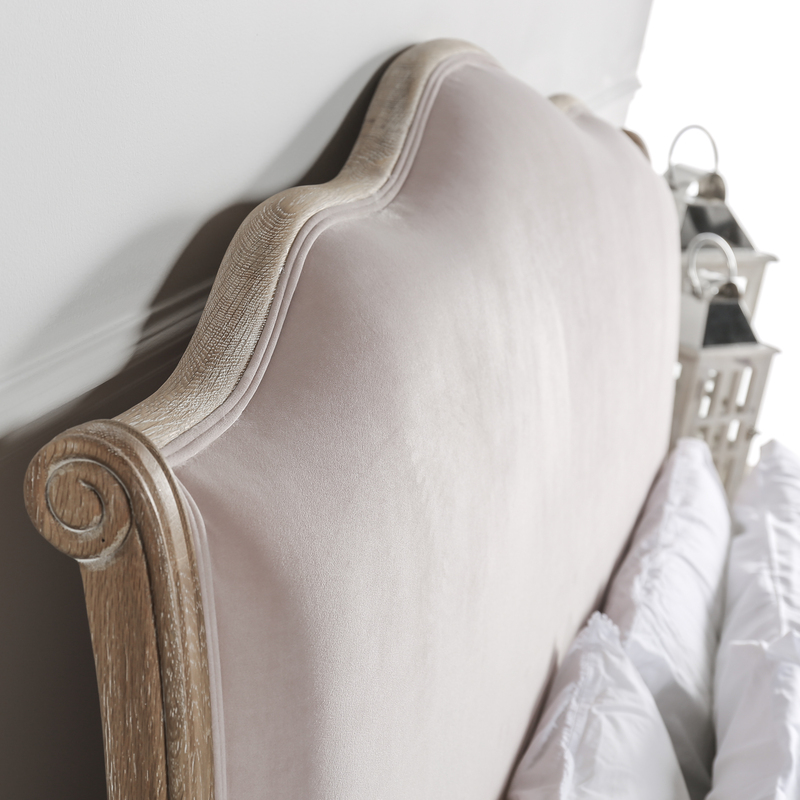 Formed with cabriole French style legs and a curved headboard. 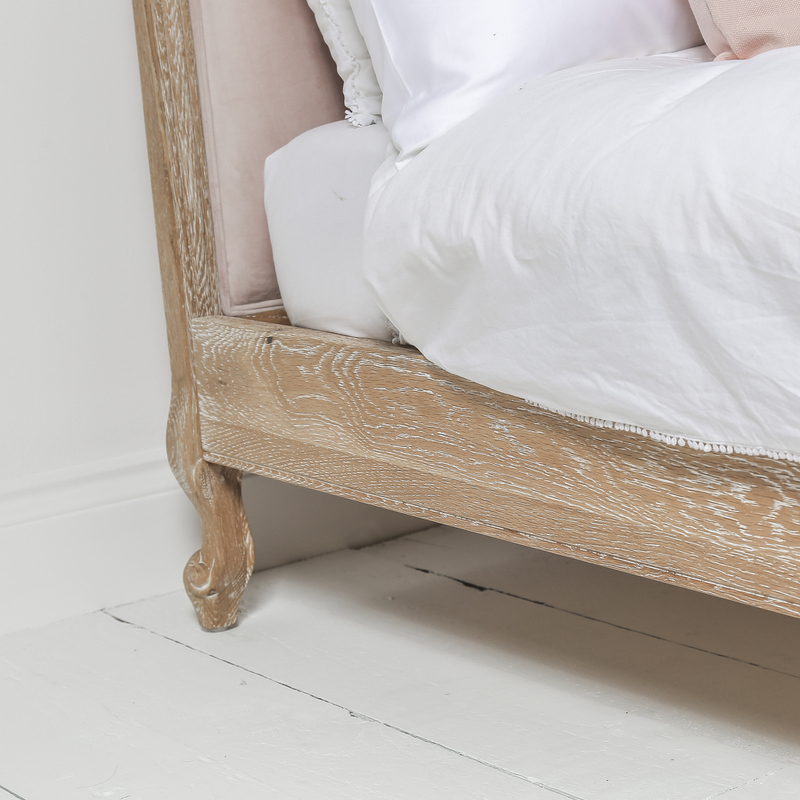 This bed frame fits a 5ft Mattress (not included) measuring 150cm x 200cm and is delivered in three boxes.